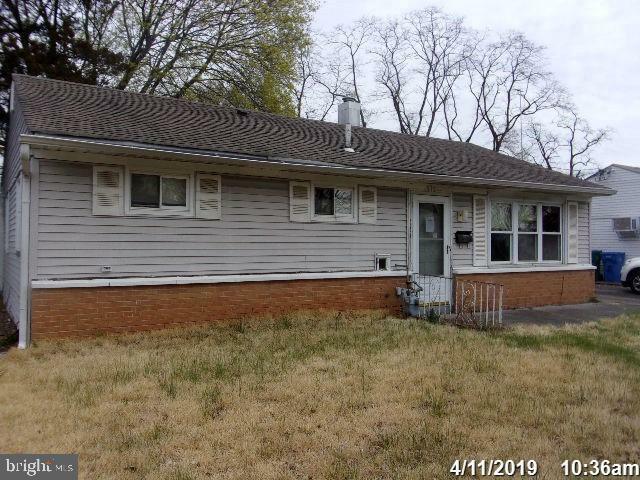 All Croydon homes currently listed for sale in Croydon as of 04/21/2019 are shown below. You can change the search criteria at any time by pressing the 'Change Search' button below. If you have any questions or you would like more information about any Croydon homes for sale or other Croydon real estate, please contact us and one of our knowledgeable Croydon REALTORS® would be pleased to assist you. "Dramatic Price Reduction; Newly Positioned in the Marketplace. Waterfront property, multiple boat slips (capability up to 200+), minutes from Historic Bristol Boro!Seller has attached plot plan to listing - potential for residential, subject to Buyer's Due Diligence, Township & Zoning Approval.MAGNIFICENT DESIRABLE WATERFRONT MARINA AND LAND FOR SALE, EXCELLENT OPPORTUNITY. Snug Harbor Marina has been in existence since the 1950's, current owner has been in business for more than 29 years. Now is your opportunity to own Snug Harbor, expand, and/or, revamp. Snug Harbor is a Full Service Marina, situated on the Neshaminy Creek, close proximity to the Delaware River. 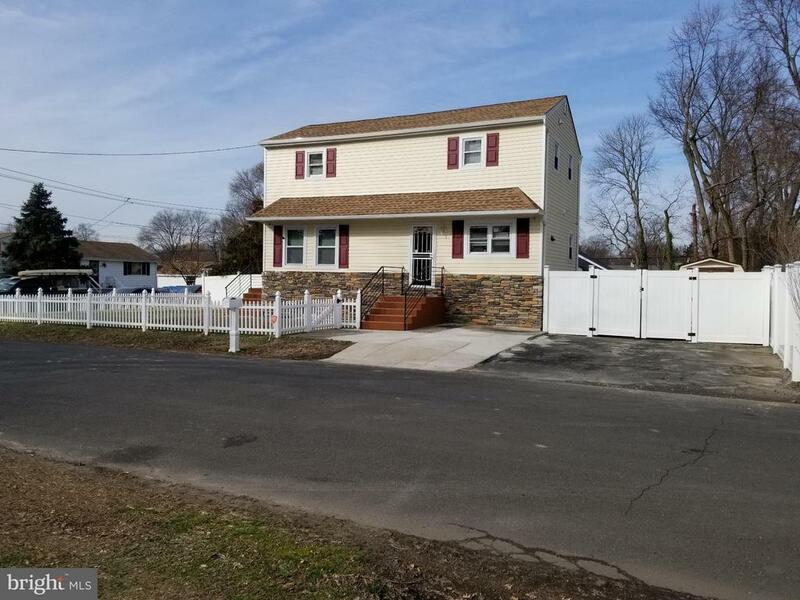 Nearby is the Croydon Train Station, easy access for commuters from near and far away to cruise up the Delaware, dock their boats, be on their way via, train, I-95, PA Turnpike, Burlington Bristol Bridge, and NJ points of interest. Exact acreage will need to be re-verified between all parties. Owner holds permit for DER and Federal Army Corp Dredging Permit. Owner is including: Hydraulic Dredge, Sling Lift, Travel Lift, Boat Mover, John Deere Loader, Excavator, Fork Lift, Boom Truck,and Mobile Crane, as is. See attached subdivision plot plan, subject to buyers due diligence, township and zoning approval. See MLS #1000173796 and plot plan. PLEASE NOTE: Building is currently an office WITHOUT kitchen. Pending Buyer's due diligence, township & zoning approval, you might be able to build residential. Residential development is not a certain and a guarantee. ACERAGE & SQ. FOOTAGE NEEDS TO BE VERIFIED FOR ACCURACY, THROUGH BUYER'S DUE DILIGENCE. (SOME RECORDS STATE 11 ACRES, OTHERS STATE 14 ACRES.)" "CALLING All BUILDERS, DEVELOPERS,AND INVESTORS! Looking for a great investment opportunity, look no further. Customized individual residential home that contains many unbelievable cool features, including but not limited to, 2 attached, but separate apartments. First apartment features, Living Room, Kitchen, 1 Bedroom, 1 Bath, and Utility Room. Second apartment, features a Studio Apartment, with Kitchen and Bathroom. In addition, to take you from ground level to main level is an elevator. Upon entering main residence, you'll be surprised by the foyer, leading to a bright and cheery kitchen. The property is situated on over 4+ acres of ground, and upon entering you will see why it feels as though you are in your own secluded getaway. There are truly so many nuances about the entire home and property, words cannot convey. For the serious investor and/or in need of multi-unit living quarters this is truly a must see to appreciate the value. See attached subdivision plot plan, subject to buyers doing their due diligence, township and zoning approval. *Property IS TO BE SOLD IN CONJUNCTION with MLS #1000173796, Snug Harbor Marina Inc. Unless otherwise agreed upon between Seller and Buyer. ADDITIONAL PHOTOS to follow." 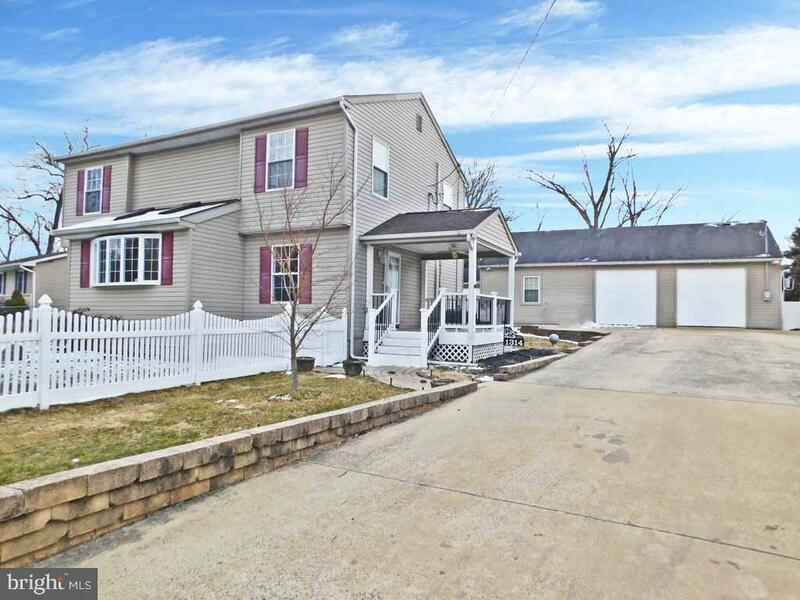 "Looking for a beautiful, renovated home that comes with a car lovers garage? This is what you will get here. Enter through the covered porch to the welcoming Foyer that opens to the expansive Living Room with Brazilian Cherry Flooring. The Kitchen has been totally remodeled with Maple Cabinetry, Granite Counters, pendant lighting, recessed lighting, Stainless Appliances and tile flooring. The Kitchen overlooks the fenced in backyard. There is a bedroom and full bathroom on the main level, or that room could be used as a Formal Dining Room. The second floor has 3 spacious bedrooms and a fully, remodeled hall bathroom with tub and separate shower. Second Floor Laundry Area. The basement is not finished but is ready to do so with the fully insulated walls. Two zone, NEW, HVAC systems, 2 water heaters, 200 AMP service in main house, and everything is top notch. Let's take a walk out back and check out this huge, 30 x 45 garage with it's own electric and Propane Heating system. 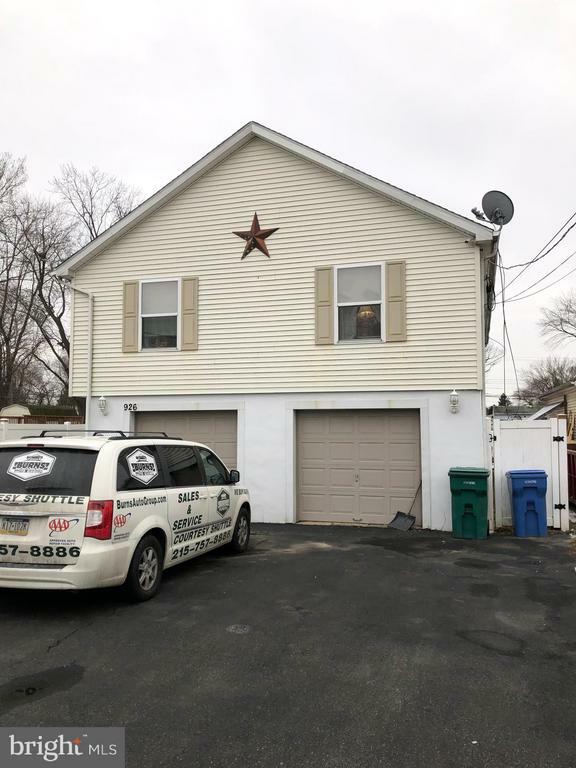 There are so many options here, whether you are a car enthusiast, contractor, landscaper, artist, or furniture restorer, we have the space for you. Between the garage spaces and the oversized, concrete driveway, plus some street parking, you can park an awful lot of vehicles here. Yard is fenced, with patio areas, garden areas, raised beds and a level yard. BRAND NEW Roof on the main house, 2 zone HVAC system, 1 BRAND NEW, the other 1 year NEW! This home is ready to go! Solar Energy for those looking to be green! 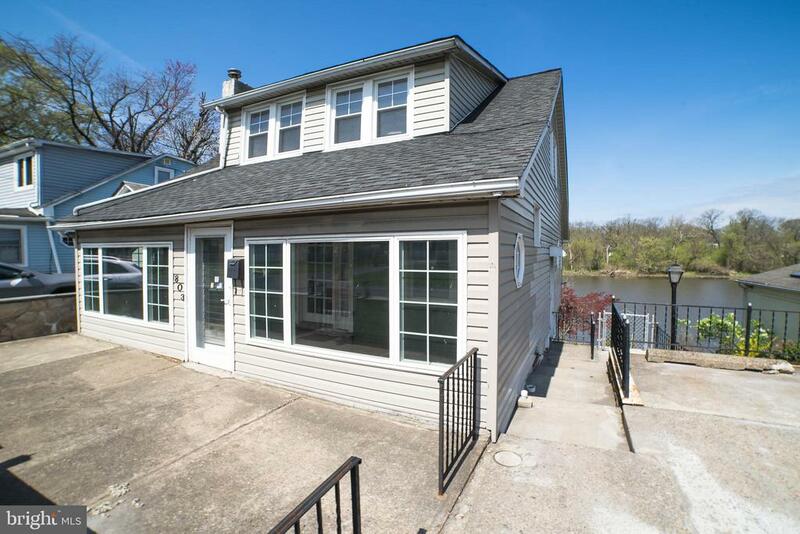 Walking distance to the New Croydon Train Station, many restaurants along with close proximity to Neshaminy State Park, and the Delaware River." "Huge 3-4 bedroom 2.5 bath in Croydon. Sellers are original owners (2008) and now need to downsize, and are heartbroken about leaving. Great area. Property is on a double lot, swimming pool (new liner), Gazebo, shed, and more. The inside top level consists of 3 full bedrooms, 2 full bath, Kitchen, and Living room. Lower level features a finished basement, 4th bedroom/office, powder room, and walk out entrance. Hot water heater 2010, central air 2017"
"Owner went Nuts!! What a beauty, probably the smartest home in all Bucks County. 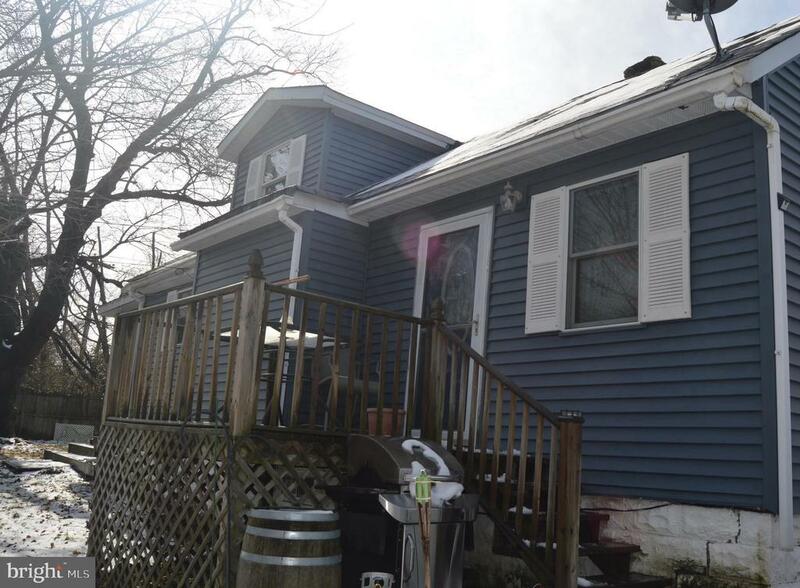 This Corner property has rom, 3 full baths, 2 room upstairs have full private bathrooms, the 3rd room downstairs has its own full bathroom as well. This home has been equipped with state of the art camera system, Cable and usb ports all through-out, surround system and Bluetooth tech as well as led lighting all through the house as well." "One of two new construction homes that will be completed by the end of January. Enter into the main floor living room with an open floor concept and views of the dining room that make you feel right at home. Continuous laminate flooring throughout the lower level gives the living space a touch of class. Off the kitchen you will find a powder room and mud room with entry from the garage. The kitchen completes the main floor with an abundance of cabinets, granite counter top and stainless steel appliances. Upstairs find the spacious master bedroom and en suite bath with a gorgeously tiled shower and a walk in closet. There are two additional bedrooms, hall bath and laundry room that complete the upper level. This home has a full basement with 9' ceilings that could be finished quite easily and is warranted for 15 years. 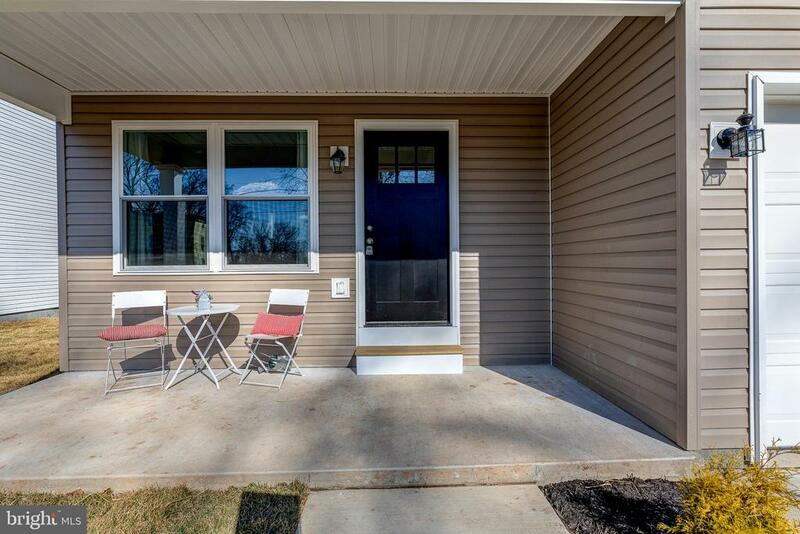 There is also a front porch for relaxing or rear deck off the dining room for entertaining. All this plus being close to public transportation and many major highways." "Welcome to your own private abode, located near all major thoroughfares, and yet tucked away on a quiet residential street with no through traffic. This home has been completely renovated top to bottom, with no expense spared. As you enter the home through its brand new lead glass door, you are greeted by the substantial wood floors, which are found throughout the home. Your eyes can't help but take in the light which filters through the brand new super efficient windows, giving the house an almost ethereal feel. Your gaze will be drawn to the state of the art, brand new kitchen, complete with granite counter tops, stainless steel appliances and gleaming cabinets, mirroring the latest kitchen trends you have only seen on a TV screen. Three ample bedrooms are flanked by a full bath, pristine and newly redone, which featuring a molded bath unit and intricate ceramic tile with marble design. The large, fenced back yard is ready to welcome both children and pets, while the adults of the family entertain and grill on the stone patio. This is a comfortable home for a young family or a couple downsizing, who will appreciate the care and effort with which this property has been restored . This house is waiting for its rightful owners, who will be the first to walk its hardwood floors, to cook in its gourmet kitchen and take a luxurious bath in its brand new, heretofore untouched molded tub." 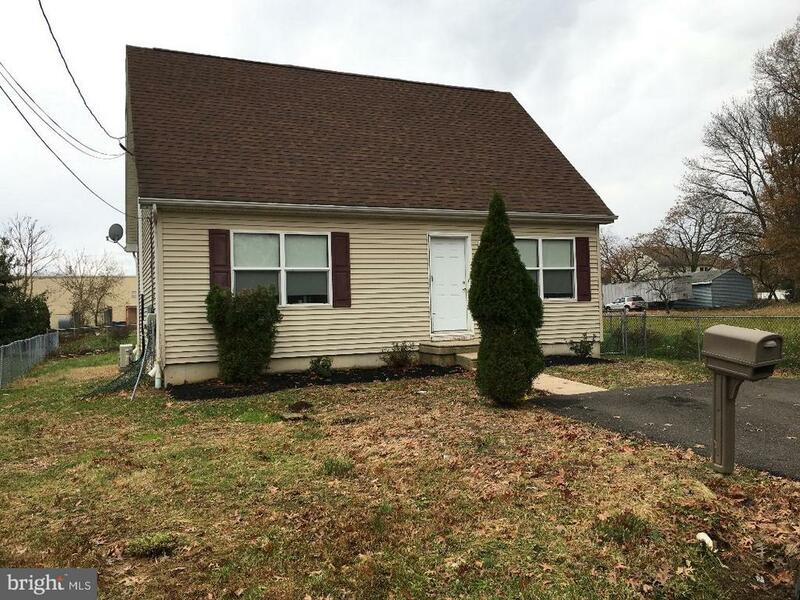 "Welcome home to this 3 bedroom 1 bath home. Adorable cape with lots of room thru-out. This home features living room w/bay window, dining area and kitchen with tiled floor, stainless steel appliances, oak cabinetry and lots of counter space. Bedroom on 1st floor w/lots of closet space, updated hall tiled bath with vanity. Second floor features 2 large bedrooms w/lots of closet space. There is a full basement w/outside access for convenience of easy storage. A great home which has new roof (2018), newer vinyl siding, replaced windows, remodeled oak kitchen. Built in seating on 8 x 16 front porch, above ground pool and large detached 14 x 32 garage. Schedule your appointment today!" "Seller willing to give seller's assist toward closing costs at settlement with an acceptable offer! 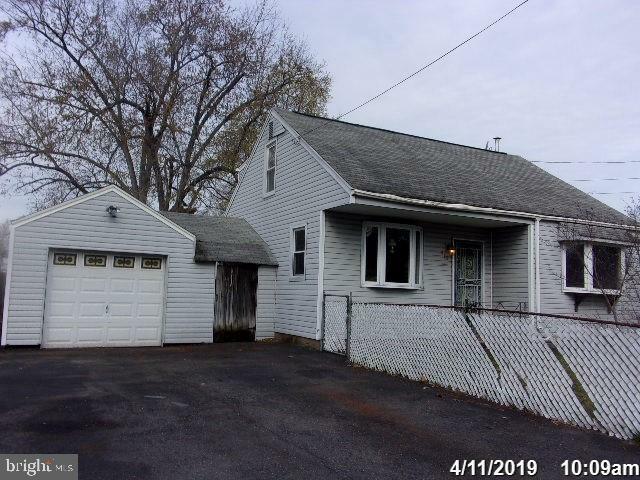 Don't miss out on this 11 year old freshly painted cape located on a dead end street featuring 3 nice size bedrooms , 2 full baths and central air. The first floor has a large living room with laminate flooring, large eat in kitchen with oak cabinetry and dishwasher and a side exit door to the large back fenced yard. The property is 162 feet deep, which extends much further then the existing fence in the back yard. Also, the first floor has 2 bedrooms with new carpeting and a full bath with a new sink /vanity, and a washer/dryer combo. New carpeting on the stairs and landing leading to the second floor to a large master suite (28' x 16' ) including a full bath, a walk in closet, recessed lights, split a/c unit and sitting room/office (could be used as a 4th bedroom). Home also includes a crawl space for extra storage, which can be accessed thru the hall closet floor. Conveniently located to I95 and the Burlington Bristol Bridge." "Welcome home! Come check out this nicely updated home on a secluded street in Croydon. 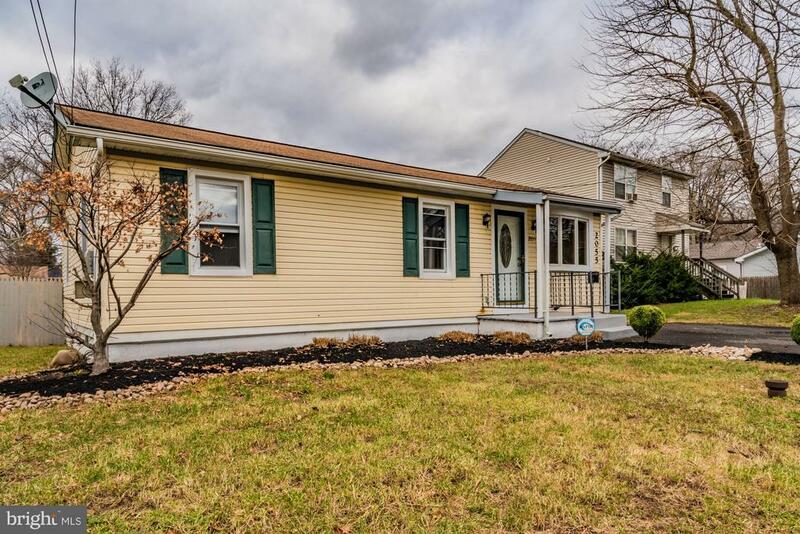 A large fenced-in yard surrounds this unique and charming home. Upon entry, the hardwood floors and high cathedral ceiling will immediately grab your attention. The kitchen is nicely updated with newer stainless steel appliances. Off the kitchen is a beautiful three season room with many possibilities! The first floor large master bathroom boasts ceramic tile, a jetted tub and a large separate shower. Head upstairs to the presently unfinished loft - ready to make it your own private space (the floors will be finished in the coming weeks)! The partially finished basement is great extra space!" "Are you a savvy first time home buyer or handyman looking to create your dream water front property? This home has breathtaking views all year round with NO FLOOD INSURANCE and affordable taxes. If you're not scared of a little work and some sweat equity, then this home is for you. The opportunity to have your own dock in your backyard is here! 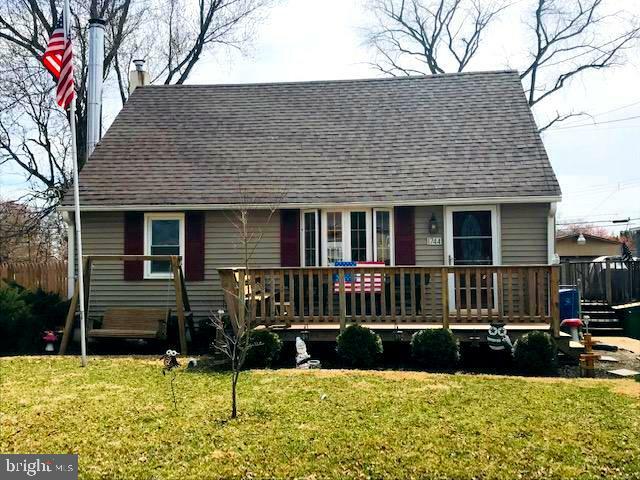 The front enclosed porch welcomes you into this 3 bedroom, 1 bathroom home. A separate dining room and kitchen are off the family room with fireplace. A bonus room in the rear of the home offers endless water views from the large windows. The oversized basement is great for storage. It is perfect timing to enjoy the back patio all summer long. Location, location, location!!! Come check this home out to see if you have the vision to make this one your dream come true." "ranch home in Croydon acres. featuring three bedrooms, one full bath,kitchen and living room, nice sized rear yard, being sold as is,owner and sales person make no representations or warranties as to the condition of premises, corporate addenda apply,"
"this house is being sold as is, seller will not provide use and occupancy, the house is studded out, also has water lines hooked up, and studded out, nice size house,"
"good size cape in need of work, features three bedrooms, three bathrooms, living room,dining room, has a bonus room on first floor too, has an unfinished basement, and one car garage on a nice sized lot. being sold as is,owner and salesperson make no representations or warranties as to the condition of premises,corporate addenda apply"
"Just Reduced! Check out this Croydon Handyman Special! 3 Bedroom, 1 Bath. Near Park and Water. AS IS. Buyer is responsible for C.O."